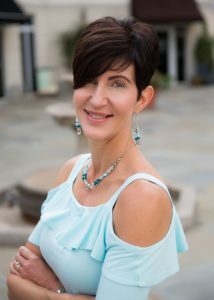 The American Health Council is proud to name Meredith Harris, Nurse Practitioner, and Owner of New Life Aesthetics in Raleigh, North Carolina, as one of “America’s Best Nurses.” With 20 years of experience in the healthcare industry, including 3 in her current role, Ms. Harris brings to the American Health Council expertise in Aesthetics. Ms. Harris graduated from the University of Pennsylvania in 1998, obtaining her MSNP/NP-C in Nursing & Women’s Health. She cites that her interest in aesthetics came from a deep fulfillment when caring for women as a Nurse Practitioner crossed paths with her intense interest and passion for creativity and the arts. She attributes her continuous success to hard work, taking risks, and always thinking outside the box. At New Life Aesthetics, Ms. Harris engages in day to day responsibilities, including providing detailed consultations, performing anti-aging injectables, laser treatments, skin rejuvenation, body contouring and follow-ups. She also teaches, mentors, and consults with new and seasoned Aesthetic practitioners, assisting them in honing their skills and refining their business models. Finding joy in the everyday tasks of growing a business, Ms. Harris also enjoys raising a family and serving others in the office, church, and within her home and community. 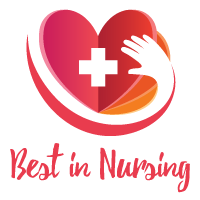 Ms. Harris shares professional affiliations with the International Society of Plastic and Aesthetic Nurses, and the National Academy of Dermatology Nurse Practitioners. Her goals within the next 5 years include the expansion of New Life Aesthetics, specifically to a secondary North Carolina beachside location. Additionally, Ms. Harris would like to grow within the public speaking circuit and aesthetic advisement consulting, nationally. In her spare time, Ms. Harris enjoys sewing, cooking, gardening, watercolor painting, and spending time with family. She volunteers for Pretty in Pink and her local church. New Life Aesthetics is a boutique-style medical spa specializing in anti-aging cosmetic services including Botox, dermal fillers, & prescriptive skin care – offering products and services in Cosmetic Botox, Dermal Fillers, Kybella, Aerolase, LightPod Neo, Chemical Peels, Microneedling, PRP, Laser Hair Removal, Spider Veins, Acne Treatments, Customized Skincare Consultations, and Latisse.